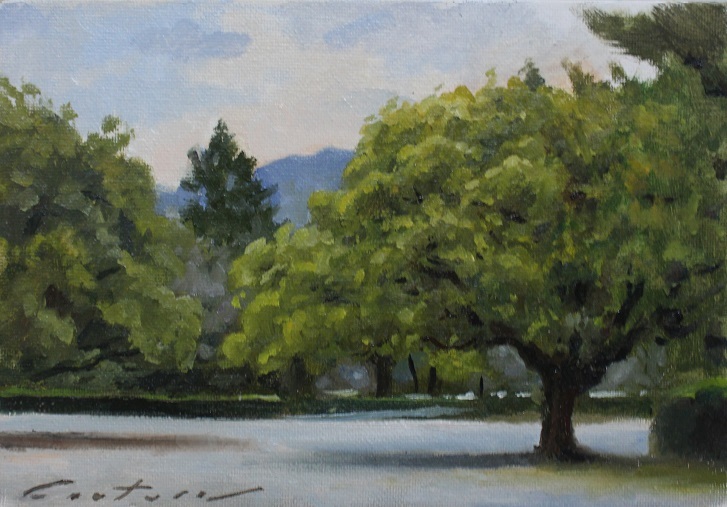 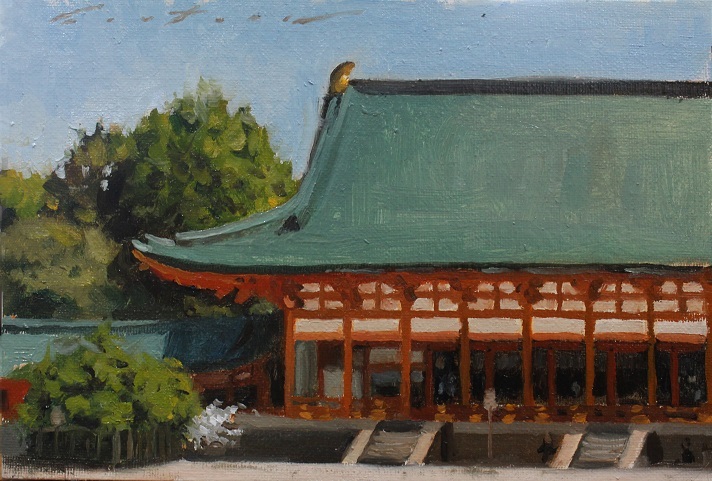 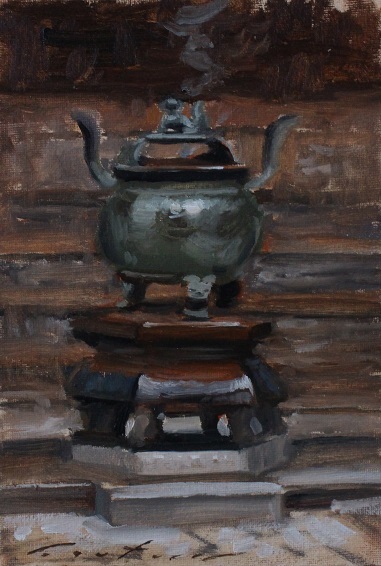 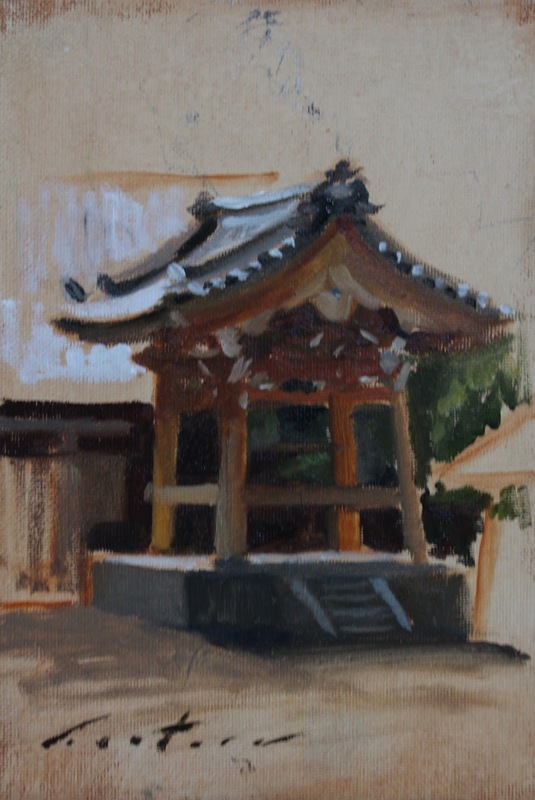 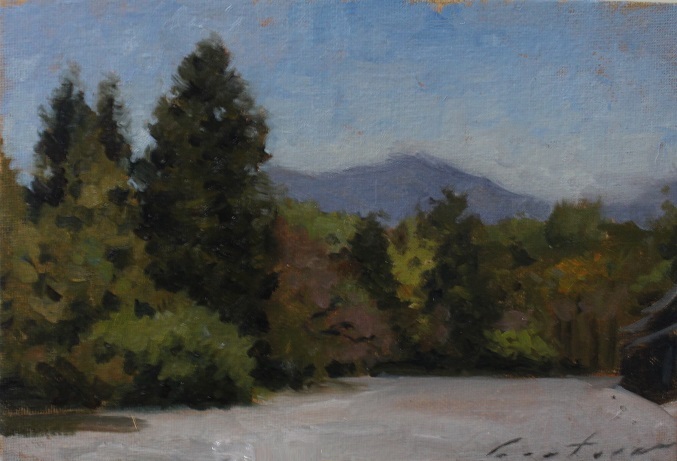 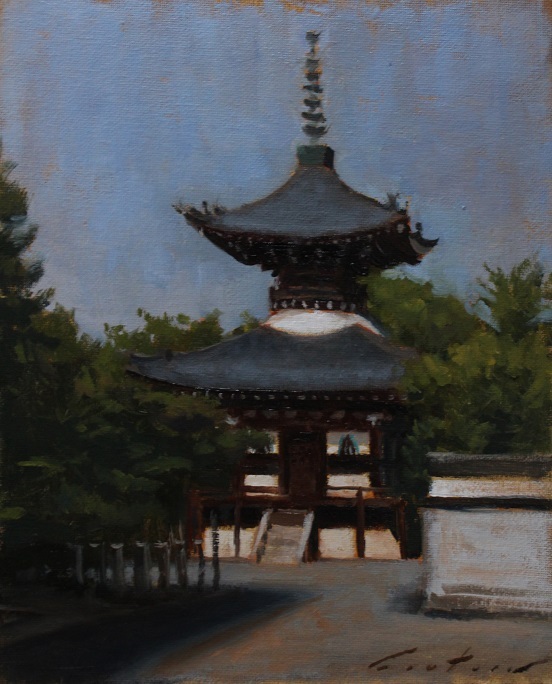 Quick 15 minute study at a shrine near Kyoto Gosho. 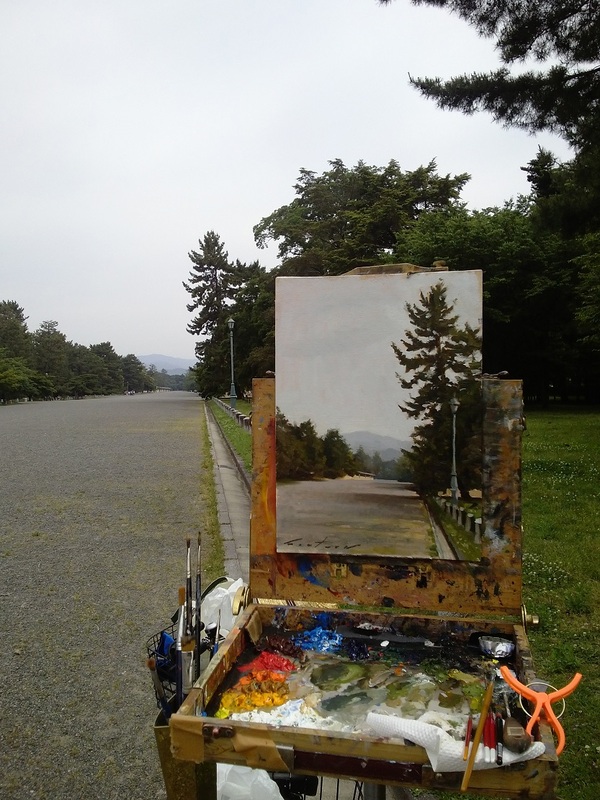 A big truck decided to park right in front of it.... quick study! 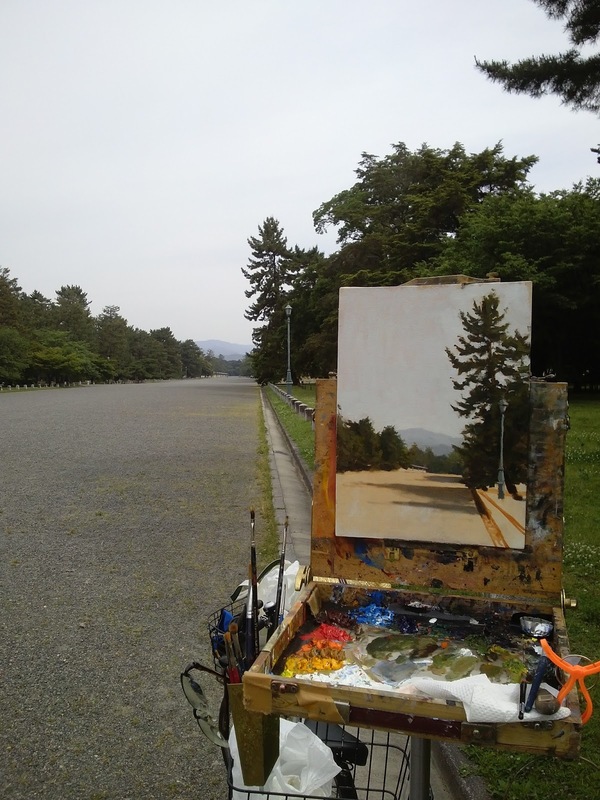 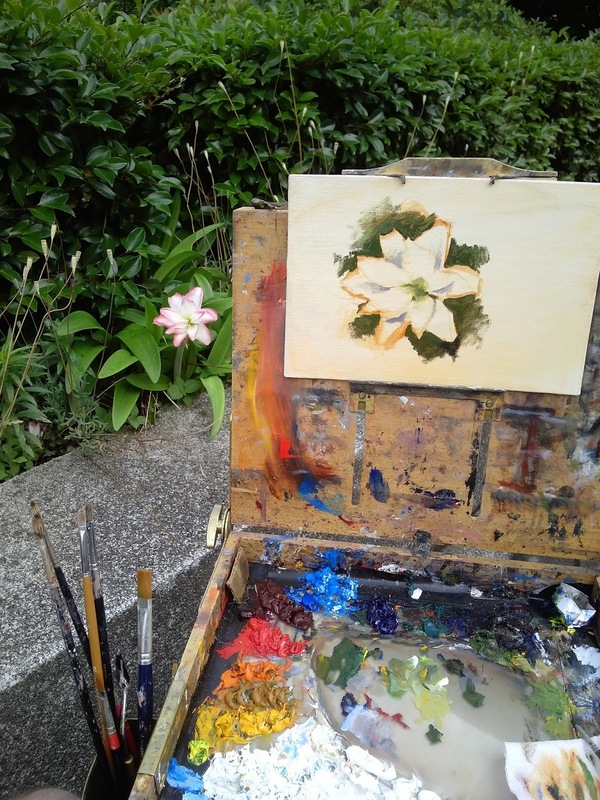 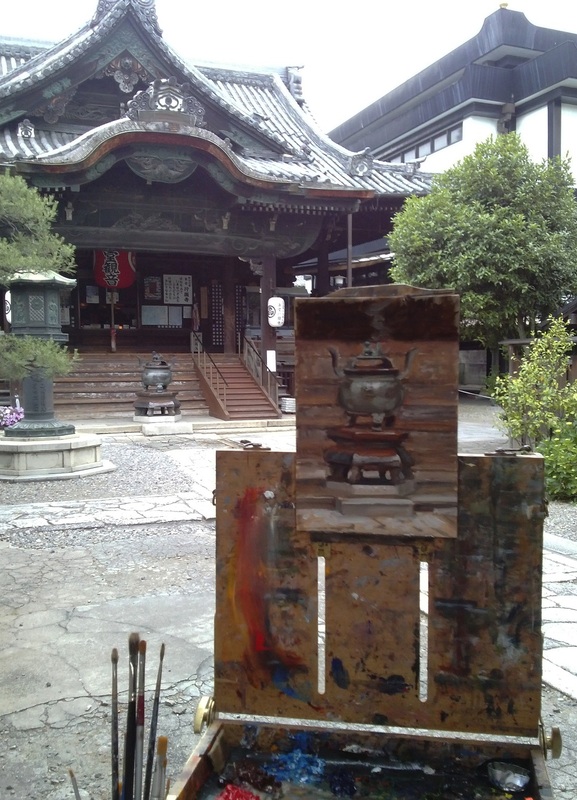 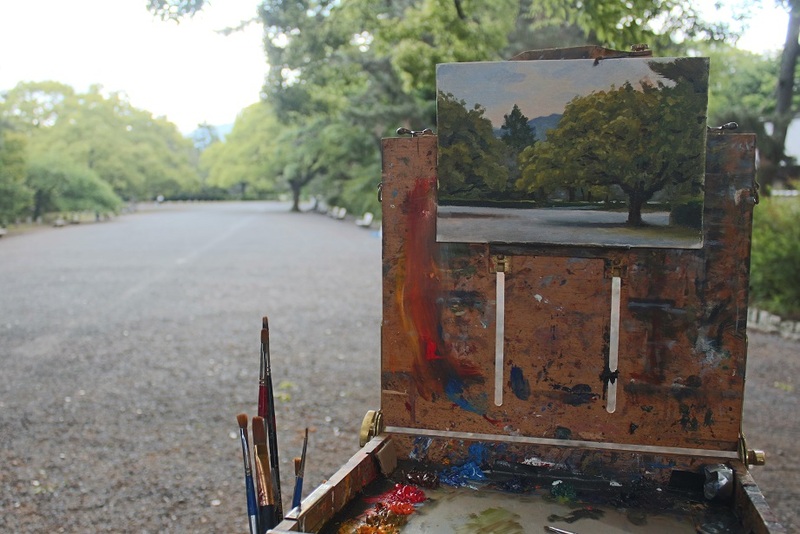 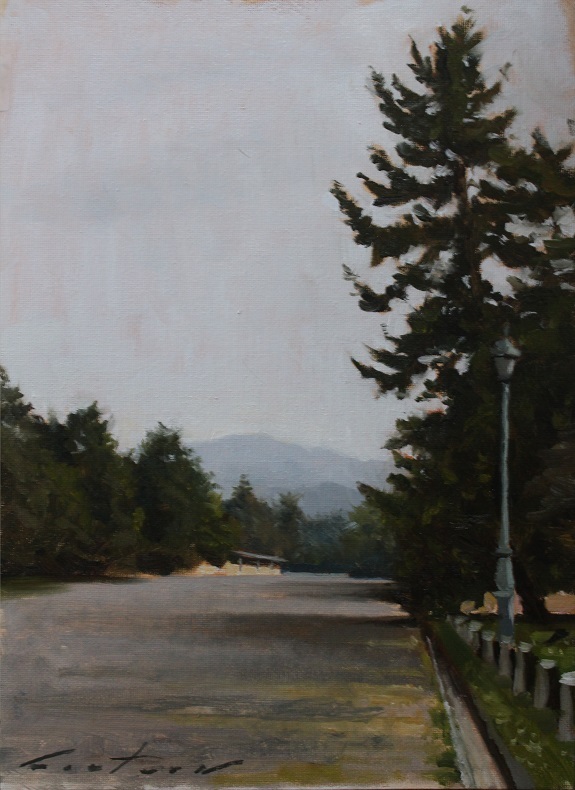 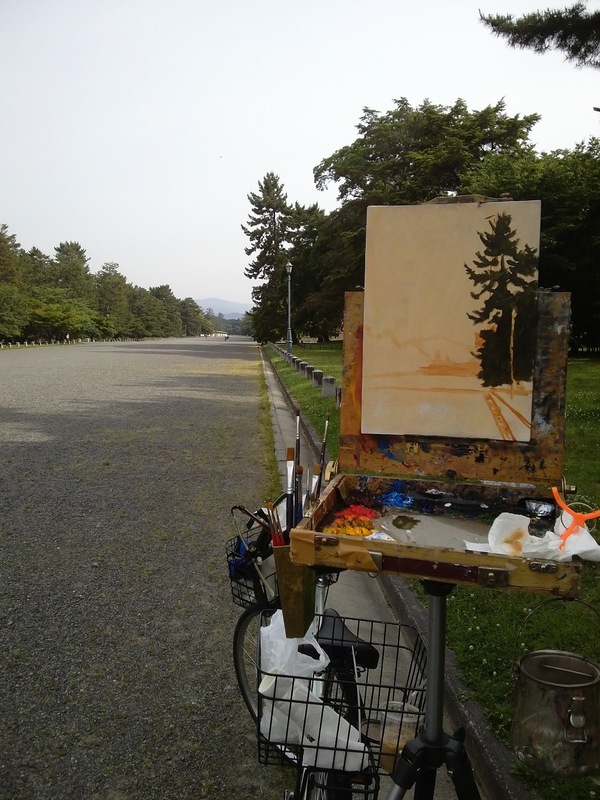 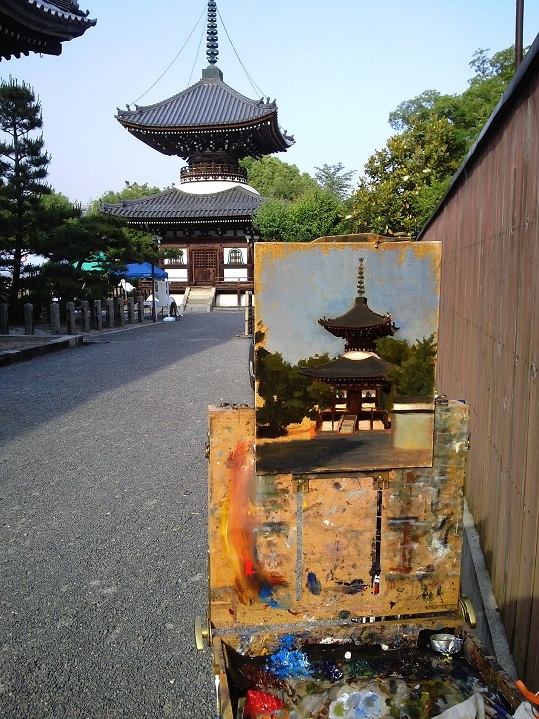 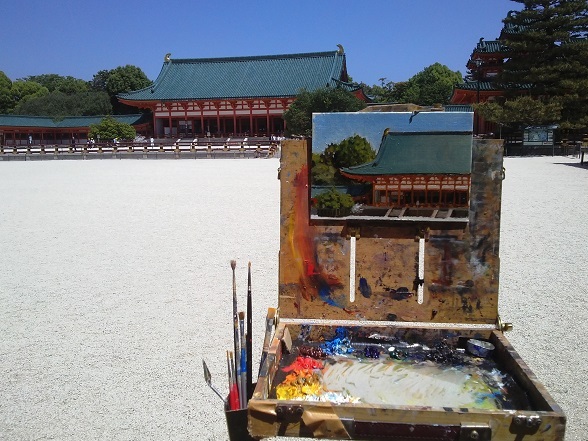 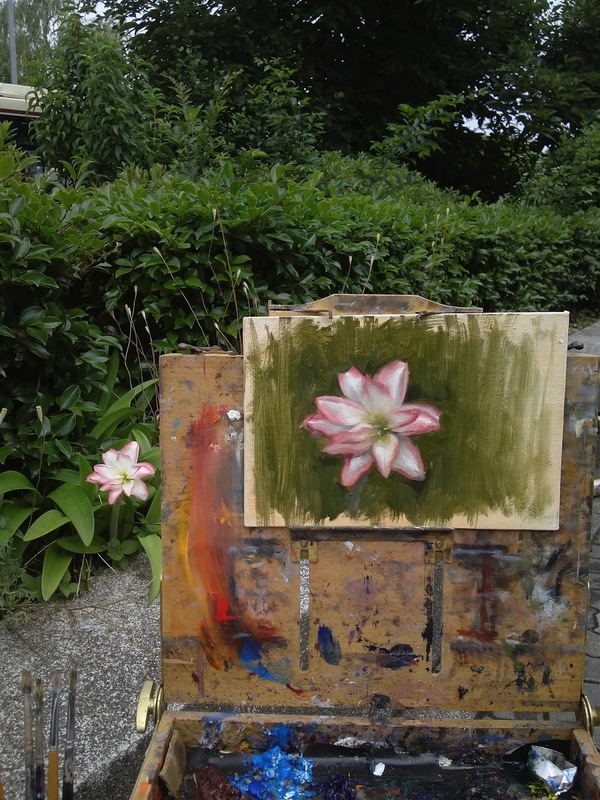 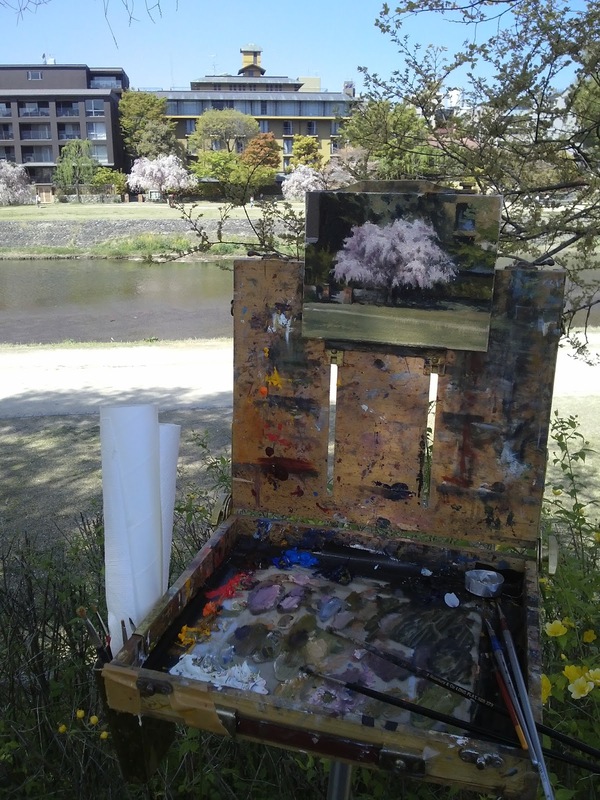 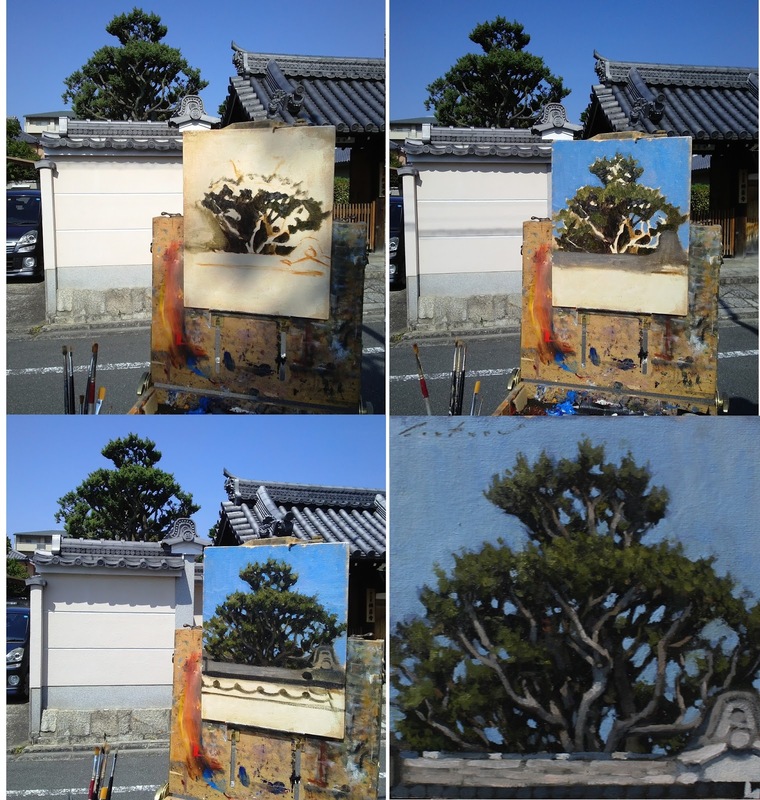 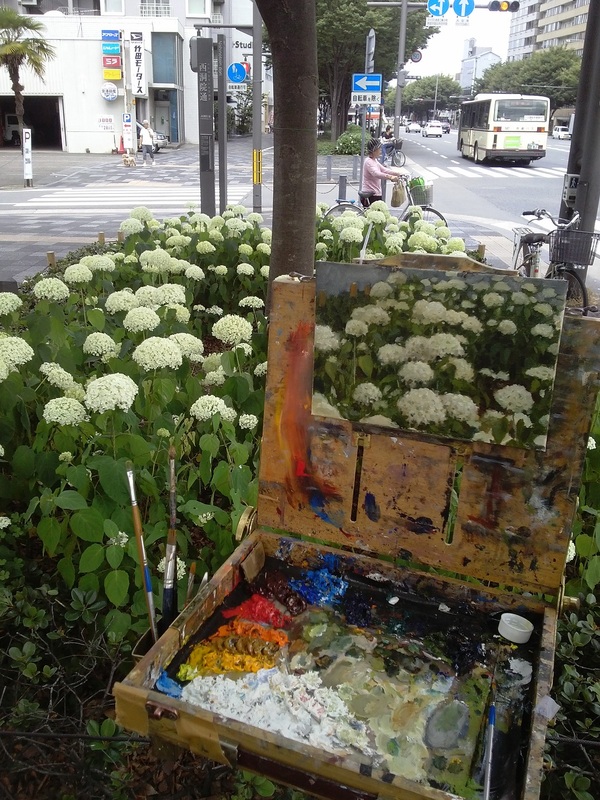 Stages of an early morning plein air painting near Nijo dori. 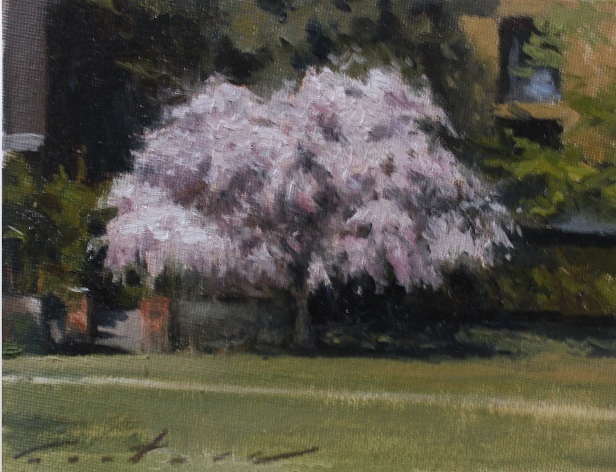 I liked the composition as a square so I cropped it when I got home.